Glycol Antifreeze is referred to a class of organic compounds that are included in the alcohol family and are widely used as an antifreeze in automobile cooling systems and in the manufacturing of brake fluids. These glycol antifreeze are mainly of two types - Ethylene glycol based antifreeze and Propylene glycol based antifreeze. Now, let us first understand how an antifreeze works and why it is so important to use an antifreeze. 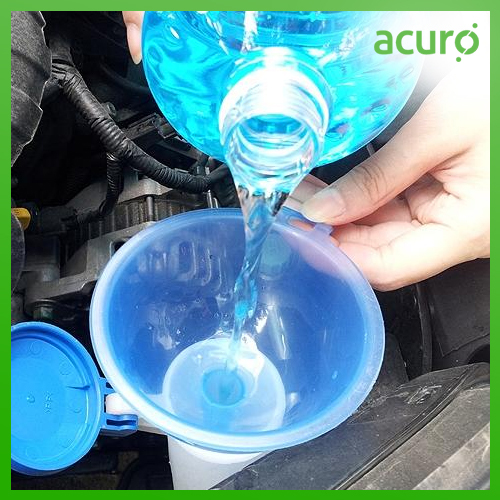 An antifreeze can be regarded as an additive that alleviates the freezing point of a water-based liquid. A mixture of antifreeze can be utilized to bring about freezing point depression for cold climates and also work towards elevating the boiling point to allow higher coolant temperature. Water was originally used as a coolant owing to its good coolant properties. The main purpose of an antifreeze is to help in the prevention of a definite enclosure from bursting due to expansion when water freezes.